To support their biggest ever Fix ALL triple pack promotion Soudal UK are doing their first ever national radio campaign on the world’s biggest sports radio station, TalkSport! Running throughout September, October and November the 12 week campaign will be heard over 14 million times! 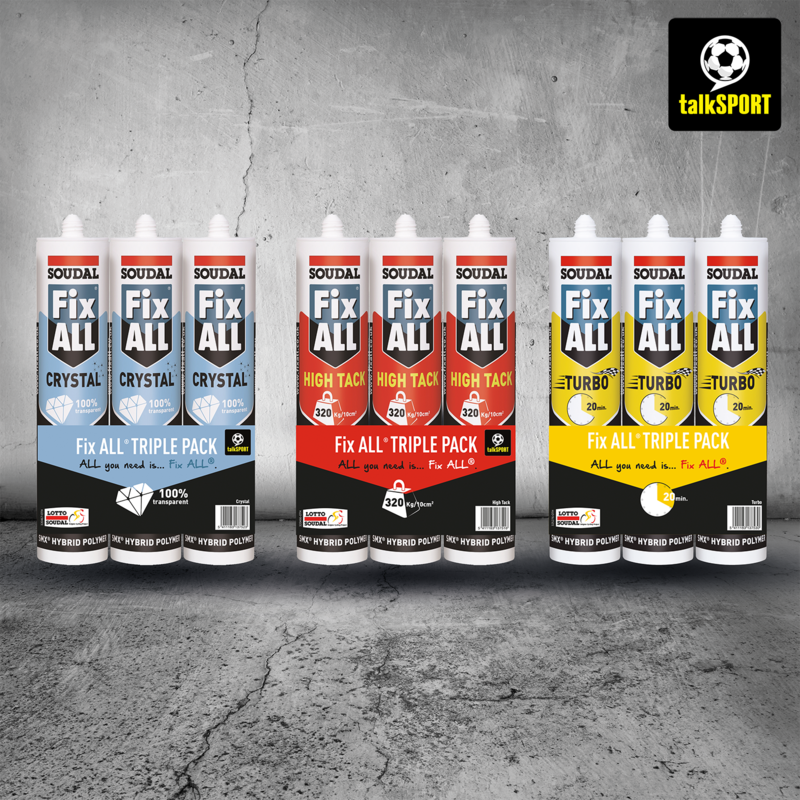 Now in its 4th year the Fix ALL triple pack campaign will be bigger than ever and with that comes extra support from TalkSport. The national coverage that TalkSport offer allows Soudal to gain brand awareness for the Fix ALL brand but also help the sell through of triple packs. 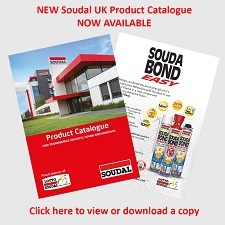 All good stockists will have the opportunity to stock Fix ALL Crystal, High Tack and Turbo, which will then be supported by Soudal through national radio, monthly advertisements in Pro-Installer Magazine and social media channels to help the sell through. The Fix ALL range was developed as a range of products to Fix ALL problems and now ‘Fix ALL fixes ALL’. The triple packs are now on pre-sale but once they are gone they are gone! These packs usually sell out before arrival so make sure you don’t miss out on the biggest ever year for Fix ALL.